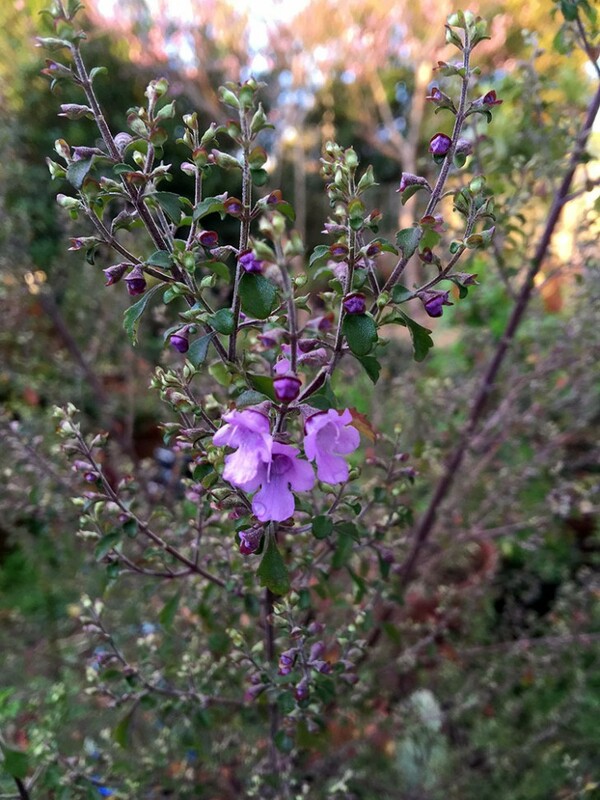 Prostanthera incisa is a traditional native Australian bush food which is sometimes called the ‘cut leaf mint bush’ due to it’s incised leaf edges. It has an almost severe intensity of flavour with a fairly strong camphor like overtone and salty mouth feel. However the favour is really (really) nice and very memorable when it is used in small amounts and in the right context. One of the best uses I have experienced or found through experimentation is on a simple wholemeal pizza bread with sliced garlic and some other leafy greens like rocket with some fresh sliced tomato – best cooked super fast in a wood fired oven with smoky ash flavours added. It adds a salty contrast to tighten the other flavours together. I could imagine this would have been a huge hit at gatherings with traditional indigenous fire cooking family events when added to a wattle seed damper or similar bread dough. It is also really nice if sprinkled on a BBQ meat dish but you need to be careful what other flavours you add as it is fairly distinct and you do not want to have a clash. Like many of the mint bush family It needs to be tasted before application to work out the best uses. It is not that hard to grow as long as you don’t over water it in the cool periods of the year and make sure to place it in full sun with either radiated heat from a wall or a good solid sandy sunny mulch. It grows well in pots. I usually grow a bunch of them in 30cm pots with other local prostantheras for food use and they thrive. Usually it will grow to about a metre high and you need to keep it pruned back and tip cut to keep it growing new leaves and flowering stems each season. The leaves and flowers cam be pulled off to uses as needed. They last for about 5-6 years or more – or much longer if grown in the ground in an ideal location. 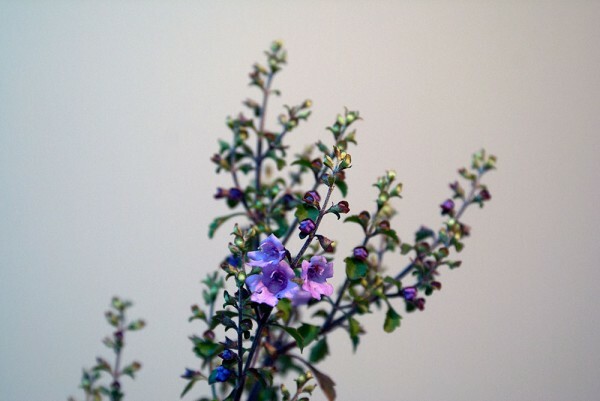 They propagate easily from cuttings in autumn and spring. Just cut a fresh tip piece off and shove it down the side of a pot with soil so that it is contact with the side of the pot and gets heated up. They root fairly fast. They seed profusely and germinate fairly fast. It grows wild along the east coast mountain top areas and seems to handle the cold winters and the high dry heat of Australian summers. It is sometimes also called ‘native thyme’ for no fully understandable reason as it tastes nothing like thyme. There are also reports of making a tea with it in the early years of Australian white settlement – it is fairly astringent and ‘medicinal’. I have tried if=t a few times and I could imagine it also being used as an effective mouth and throat antiseptic wash as it is a fairly ‘bracing’ experience.